Another school year is about to begin. That can be a very stressful time for children. Even children who love school can feel stressed out, especially with the beginning of a new school year. EFT (Emotional Freedom Technique) is a powerful way you can help release some of the stress in almost any situation. I love adding essential oils to the tapping. Several options could be used with any tapping on back to school stress. A few possibilities are: Valor, Stress Away, Peace & Calming and Release. 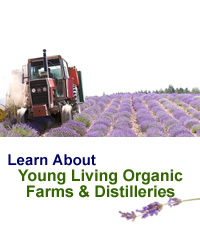 There are lots of single oils you could use like lavender for example. Any oil that is calming for your child. Put a couple drops of your chosen essential oil on your fingertips before you begin tapping through the EFT points. Tap While You Gripe is one of my favorite ways to use EFT. It is a super simple technique. Just talk and tap. Don’t get too worried about the exact wording you use or what order of points to tap. You don’t even really need to say the words out loud. Just focus on the negative emotion you want to clear. Keep talking and tapping, or thinking and tapping. Focus on the stress and tap. Here is a tapping script that focuses on starting the new school year, to get you started. Sit down with your child before school and tap through a few times. Add anything that you know your child is worried about or feeling stressed about. This is just a guideline. Add any other words that apply to the feelings your child is having. You can also tap the fingertip points. 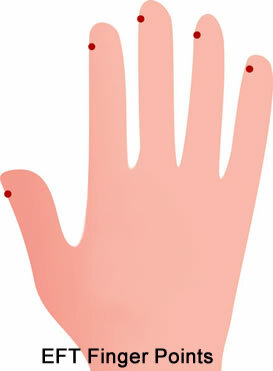 Each finger can be tapped at the lower side of each fingernail. 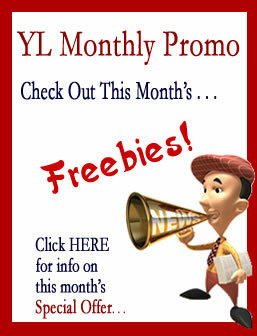 You will want to check out my 30 Day Self-Esteem Challenge videos and downloadable tapping scripts. The website is directed towards network marketing success but most of the tapping scripts and videos are dealing with things that would fit other situations. One example is the I Don’t Fit In script. 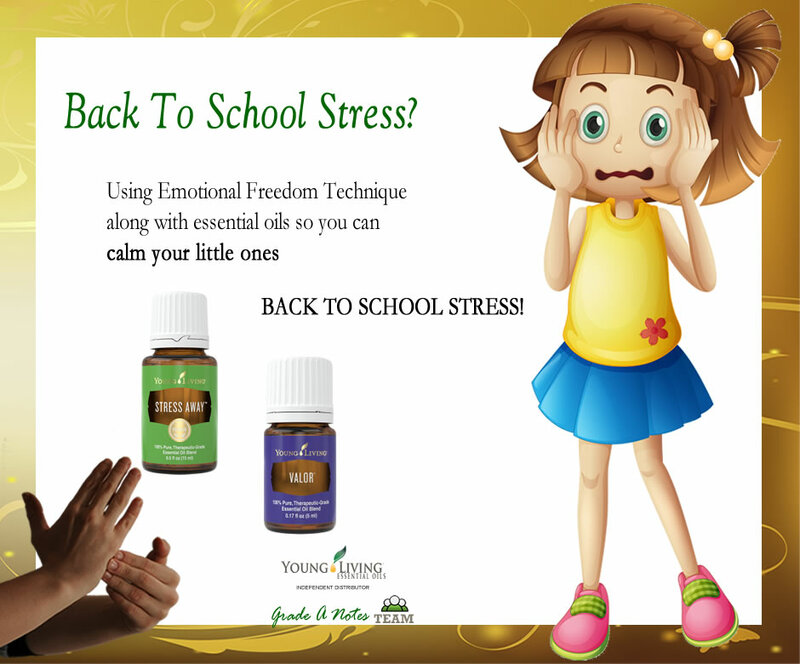 Order Young Living Essential Oil Blends HERE, so you really help your child release back to school stresses. I thank you Heavenly Father for guiding my day today. I thank you Heavenly Father for loving me. I thank you Heavenly Father for always being there for me. I thank you Heavenly Father for using me to bless someone today. I thank you Heavenly Father that your Word says you will never leave me or forsake me or leave me orphaned. Father, your Word says to let your requests be know with thanksgiving, so I do thank you for making this day special and for blessing my family and myself today. Thank you Father for loving me in spite of my shortcomings. I pray that everything I do and say today brings you honor and glory. It is important to focus on the negative so you can clear it. You can’t clear what you don’t look at. Once you have focused on the negative for a bit, then you shift to positive tapping. Prayer is wonderful but EFT is not a prayer. Everything we experience in our past from childhood on up affects our programming. Some of those experiences were very stressful, maybe even traumatic. The negative experiences around those events become an electrical “zzzzzt” in the body which can become blocks that affect our business and other things we want to do in life. Thanks. Yes, school can be really stressful.